New programme will leverage well-validated genetic mechanisms to promote cancer immunity. Funding of £1 million from Innovate UK will support two companies to further novel small molecule research, with the aim of enhancing cancer immunotherapy. The money will be used by partners NeoPhore, an immuno-oncology company, and PhoreMost, following award of a Biomedical Catalyst grant in a recent Innovate UK competition. The plan is to develop small-molecule drugs that will stimulate cancer immunity by leveraging well-validated genetic mechanisms. The strategy is central to NeoPhore’s approach to spark a ‘dynamic neoantigen evolution’ by targeting DNA mismatch repair to induce neoantigen creation in poorly immunogenic tumours. 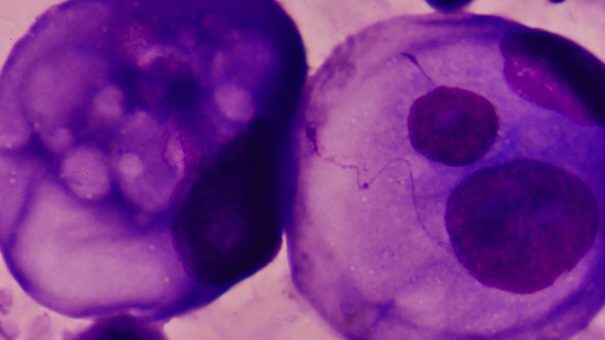 Cancer neoantigens are known to stimulate the immune system and provide a potential weak spot in a tumour cell’s defence mechanisms. The Cambridge, UK-based companies will use the funding to further develop and optimise small-molecule inhibitors into promising oral drug candidates that can be progressed into the clinic. NeoPhore may invest additional financing in the programmes or may pursue development via commercial partnerships given that the company’s therapeutic strategy could augment other companies’ existing checkpoint inhibitor and related cancer immunotherapies. NeoPhore was spun out from PhoreMost following investment of £3 million from Sixth Element Capital.